Steve Timmiss, director of Kaizen IT and a Harmony PSA customer, gives his advice on Mac security in the workplace. Macs and PCs occupied different areas of the business IT market for many years. Macs were at the forefront of the desktop publishing revolution and bettered their PC counterparts in terms of colour accuracy and typography and early adoption of Adobe postscript, which made them popular with designers. In a bid to increase its market share, Apple employed a specific strategy to switch core elements of its macOS software and hardware, (notably its file system and processor) to become more compatible with PCs. This, combined with the rise of revolutionary but complementary Apple products such as the iPhone and iPad and BYOD strategies, has led to a significant rise in the number of macOS devices purchased across all business sectors. However, it is this very popularity which is now proving to be a significant security headache for the corporate IT structure and businesses in general as they have an obligation to either maintain and prove company network policy compliance for their companies, or they simply have a duty of care to protect their staff and customers. 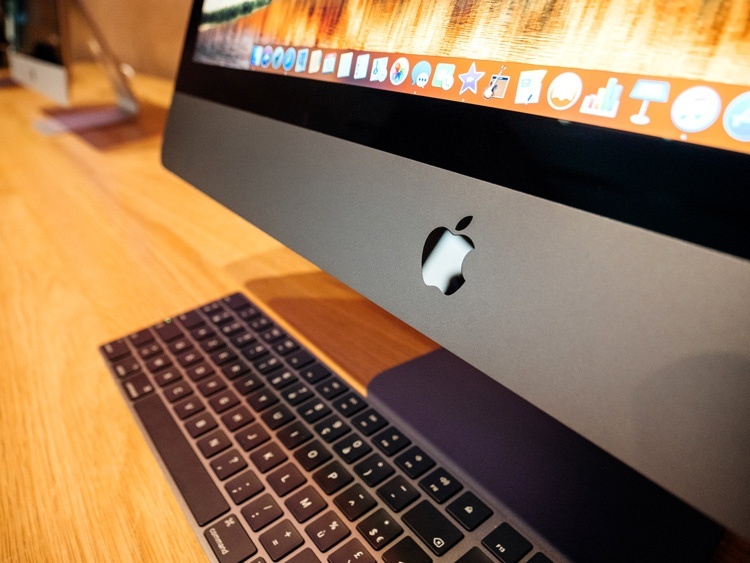 Macs have generally remained secure with built-in security features which make attacking them particularly challenging. But over the last few years, Apple has started to become complacent and has been very poor at pre-testing software before general release. There have been several notable issues, including two very serious bugs in High Sierra, the latest OS, plus numerous reports of upgrades going wrong and leaving customers unable to operate their devices. Apple has also publicly admitted that iPhone upgrades deliberately slow down your device in order that it might jog your mind into considering your next device upgrade. It is my opinion that no matter how much Apple tries to push users onto the latest upgrade by their clever marketing tactics and constant software reminder notifications, you should NOT do so unless there is a good, considered reason. You should check first with your Mac IT support team to ensure your business-critical software packages from other suppliers are fully compatible. Perhaps even carry out a testing process before proceeding. One of Kaizen’s most popular services is that we operate a fully-tested, central software upgrade and software service to SMES, specifically for this reason. This covers not only the OS but any other customer applications including graphics packages and anti-virus, software licensing and purchasing. So, although macOS is less affected by viruses and trojans than Windows, a great many of them do exist, so having up to date AV software to detect them is vital and it also stops the Mac user passing them on. Combine strong AV with a robust work-in-progress backup policy and data-retention strategy to at least three locations over at least four weeks, and you can be confident your business continuity should be maintained in the event of a disaster - from a data perspective at least. It’s crucial for your business to have access to specialist IT support to keep your systems secure, whether you’re using Macs, PCs or both. We specialise in helping IT departments overcome the security chaos with the installation and configuration of tools which hook into the macOS software. All our staff have security clearance so that companies can trust us to get the job done confidently and confidentially. Kaizen provides specialist IT business support, consultancy and sales for Mac and PC users in the creative industries sector. For more information about Kaizen IT visit: http://kaizenit.co.uk.